I had in mind a series of posts about our trip to the far east but I realize that it will not happen with everything else that is happening now. So I will settle on writing a bit about the culture of Japan and Korea. Beer in mind that we only spent about 3 weeks in total so there is plenty of room for misunderstandings. The first thing that went missing when leaving Japan is polite and smiling people. In almost every shop you are welcomed by a smiling person that says something to you. Back in Sweden it is rather the exception. Also when looking lost in a street corner with a map there is always someone trying to help. This was even more apparent in Korea than in Japan. Seoul was a bit friendlier in this resepect compared to Japan. All in all I don’t think we met a single person that was not friendly during the trip. The low tax on income makes it worthwhile to have small businesses which makes cities much more lively. 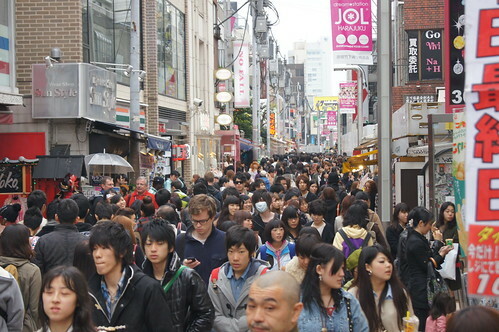 There are so many small enterprises in both Japan and Korea that makes the countries more alive. It is also something that makes it easier to find something to eat. And yes - the food is awesome. Japanese food is of course about the fish and the rice which we had plenty. But it is also about yakitori, ramen and udon. 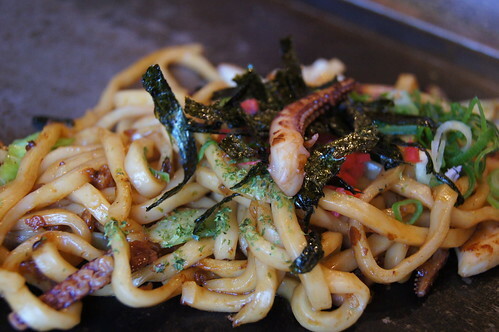 One of the best meals was a lunch in Kyoto where we got noodles on a fry bench (griddles? - a bit lost about the english word for this….). Korean cuisine may not be that famous in the west but stands up really good. It is not only about the kimchi and it is certainly not just spicy chilliish food as the guide book said. Korean BBQ is often prepared at the table by the guests or by a chef. With meat of good quality and all the nice side dishes it makes for a really intimate way to share a meal. We also took a liking to korean breakfast. It is much the same as a “normal” meal but in smaller quantities. The kimchi and the ever present soup is there and maybe one smaller dish with meat or fish. Also - the ever present cup of tasty green tea. The only thing to grow tired of is all that rice. From food it is easy to move on to cleanliness. Most restaurants give you warm or cold small wet towels to clean yourself before starting to eat. Such a nice thing to start every meal feeling refreshed especially after a couple of hours of sightseeing. Another great thing about these countries are restrooms everywhere. Every building in Japan seem to have a tidy public restroom. We did a bit of sampling of the Japanese onsen (bathing) culture. In Beppu we stayed at a hotel with a couple of private baths that you could book for free by the hour. True balm for the soul to sit in these warm baths and just exist for a while. We could have done much more of this side of Japan but so much to see and just 3 weeks to spend. A nice trip and there may be more of the far east soon. Käthes youngest daughter is about to study in Shanghai for a year so maybe we will “have to” visit her around christmas.